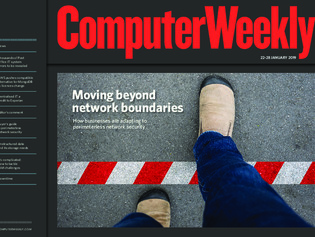 In this week’s Computer Weekly, we look at how businesses are adapting to the challenges of perimeterless network security. We examine how digital transformation is bringing increased complications for identity and access management (IAM). And we ask if public cloud providers are becoming a threat to the funding model for open source software. Known errors log for Post Office Horizon IT system will be revealed in second High Court trial. Global CIO Barry Libenson explains how and why he is standardising IT development, infrastructure and platforms at the consumer credit reporting agency. Data comes in a wide range of sizes and formats, and is generated by a growing number of devices. We consider the challenges storage managers face in juggling such a variety of records.